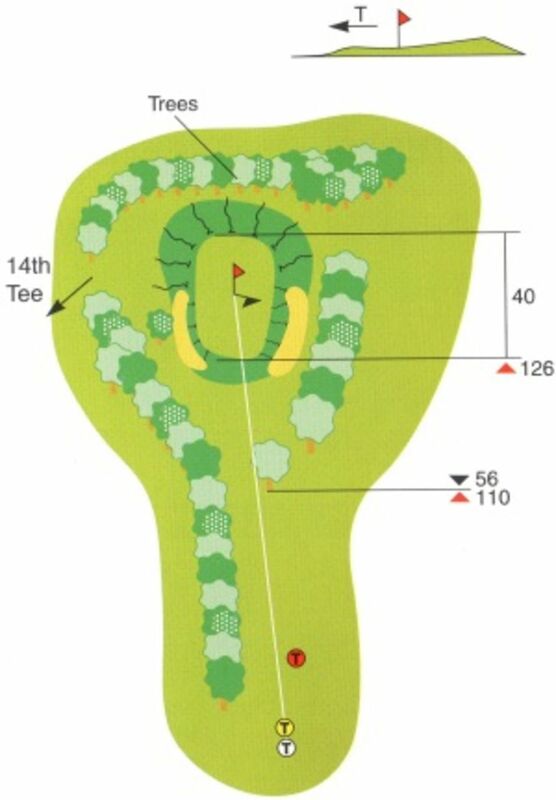 The green is the largest on the course in area but is very narrow at its entrance, widening out slightly until it passes the greenside bunkers after which it slopes down and away from the direction of the tee shot. There is a small bunker front left with a second bunker just ahead, not always visible from the raised tee. The bunker to the right of the green is by comparison extremely large and visible. The very picturesque view to the rear of the green hides the difficult should the tee shot be long. The green slopes front to back and has a ridge just about half way that can provide some very difficult putts. A very nice par three by any standards.